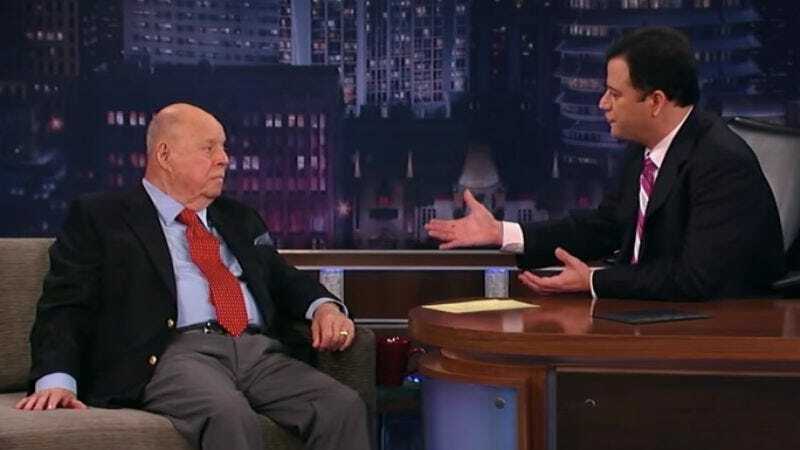 He recounted times Rickles ribbed him, read notes he sent, and described how he would “make fun of John Stamos for three hours straight without a breath.” There’s also a story about Rickles’ famous relationship Frank Sinatra that comes—not via Rickles directly—but from Bob Newhart. “He gave me advice—and good advice, not the advice people give you just to hear themselves giving you advice,” Kimmel said. “He would always say, ‘Keep my name alive.’ He’d tell me to keep his name alive, which I thought was funny because, you know, I was like, ’You’re Don Rickles, you keep my name alive.’ He was humble. He was thoughtful.” Watch the full segment above.